Ismailis throughout the world celebrated the Golden Jubilee of their 49th Imam, His Highness the Aga Khan, Mawlana Shah Karim al-Hussayni, during the period July 11, 2007 – December 13, 2008. Many meaningful and enjoyable programs were held during this time in the form of exhibitions, sports festivals, cultural and artistic shows; these reflected the talent of a sample of the Ismaili community in a multitude of ways. 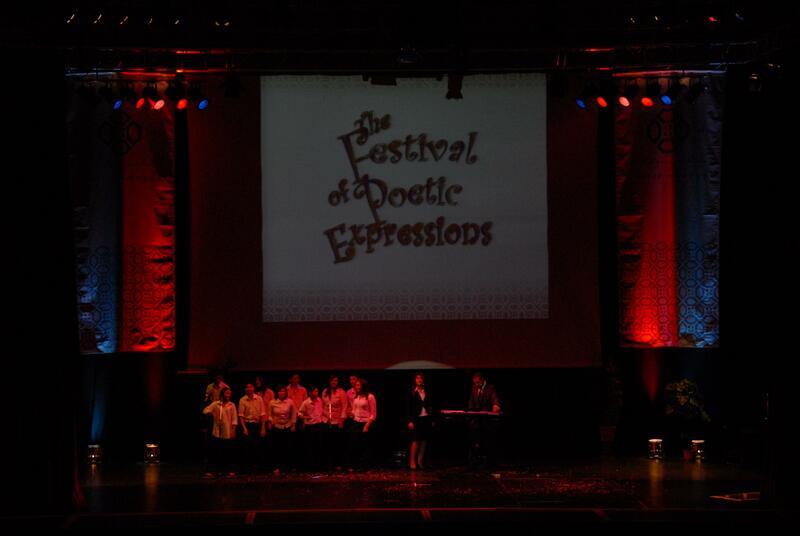 Part of the commemorative festivities in Europe included an exclusive project, entitled “Festival of Poetic Expressions”. 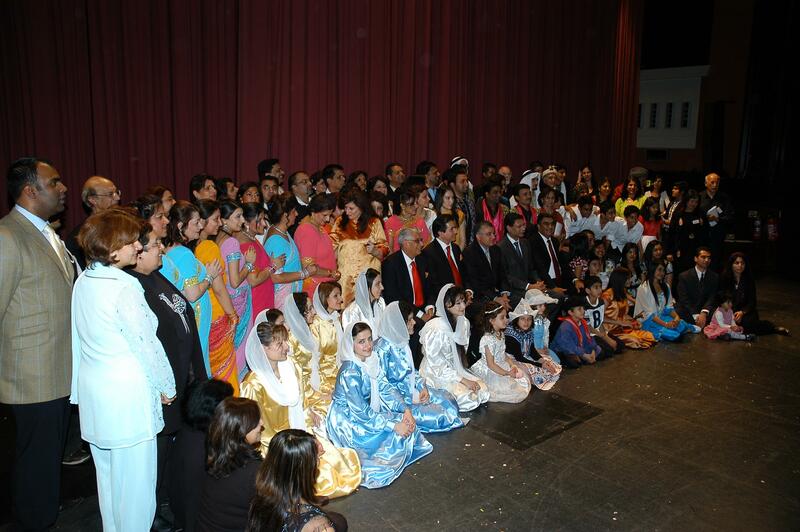 Produced and directed by Aitmadi Dr. Aziz Kurwa, under the aegis of the Aga Khan Council for the United Kingdom, the festival attracted entries from 205 participants of different age groups, demonstrating rich and pluralistic Ismaili traditions from around the world. 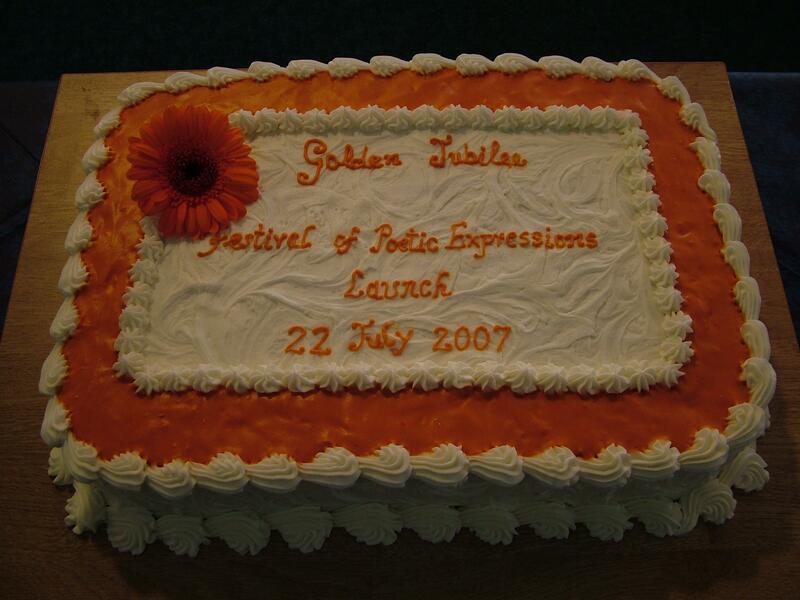 Twenty two original poetic pieces were selected from these entries, culminating in a showcase of staged performances held in London, Manchester and Germany. These included the Shia Adhan from the glorious Fatimid period of Ismaili history, the recitation of Ginans and Qasidas accompanied by dance and music, as well as vibrant Ghazals and Qawalis in an environment that reflected the Mughal Darbar. The performance team consisted of around one hundred participants, supported in production by numerous experts and volunteers. A photo capturing the serenity of the stage and the event. 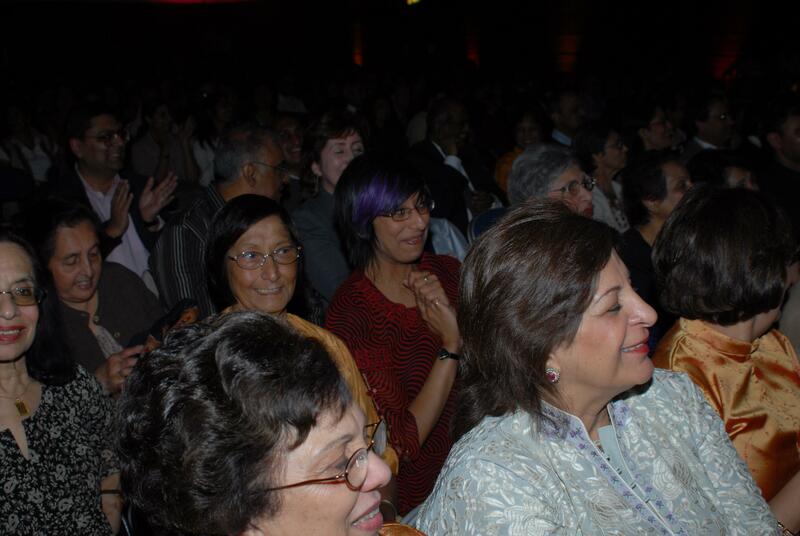 Photo: The Aga Khan Council for the UK. Please click for enlargement. 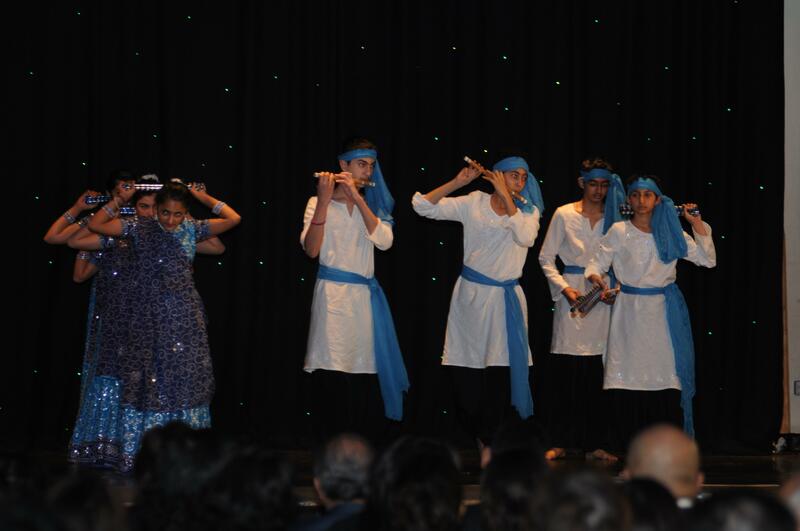 Ismaili youth perform at “The Festival of Poetic Expressions.” Photo: The Aga Khan Council for the UK. Please click for enlargement. The common theme underlying each performance was the expression of mystical and esoteric love the murids have for their Imam of the Time. Simerg, encouraged by the proposal and broader vision of Dr. Aziz Kurwa as well as the support of the President of the United Kingdom National Council, Mr. Amin Mawji, is delighted to offer to its readers the English translation of the 22 poems that were selected for the presentation. Wherever possible, the English translations will be accompanied by the original script, and its corrresponding English transliteration. 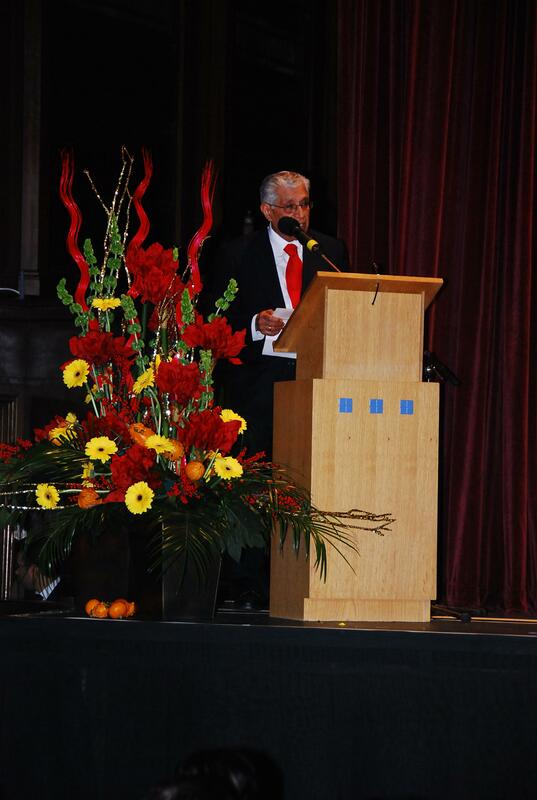 Aziz Kurwa, producer and director of “The Festival of Poetic Expressions” speaking at the event. Click for enlargement. The organizers of the event would once again like to convey their special thanks to all the participants of “The Festival of Poetic Expressions” and wish them Barakah in all aspects of their life. Simerg sincerely thanks President Mawji and Aitmadi Kurwa for giving us the opportunity to publish the twenty poems on this Web site. Amin Mawji presenting his poem “Born of the Light” at the Festival of Poetic Expressions. Farrah Sheikh in her performance of “The Key” at the Festival of Poetic Expressions. Neemat Koraci’s poem “Mabruki, Mabruki” at the Festival of Poetic Expressions was a Swahili composition. Inaara Vehoosel’s poem “The Noor of Hazar Imam” was in Dutch. She performed with her twin brother and older sister at the Festival of Poetic Expressions. Aliya Solanki presenting her poem “Padhramni” at the Festival of Poetic Expressions. Hala Khalaf-Alhaj: “A Beautiful Voice” Note: Hala was unable to participate in the Festival personally and her poem was read on her behalf. 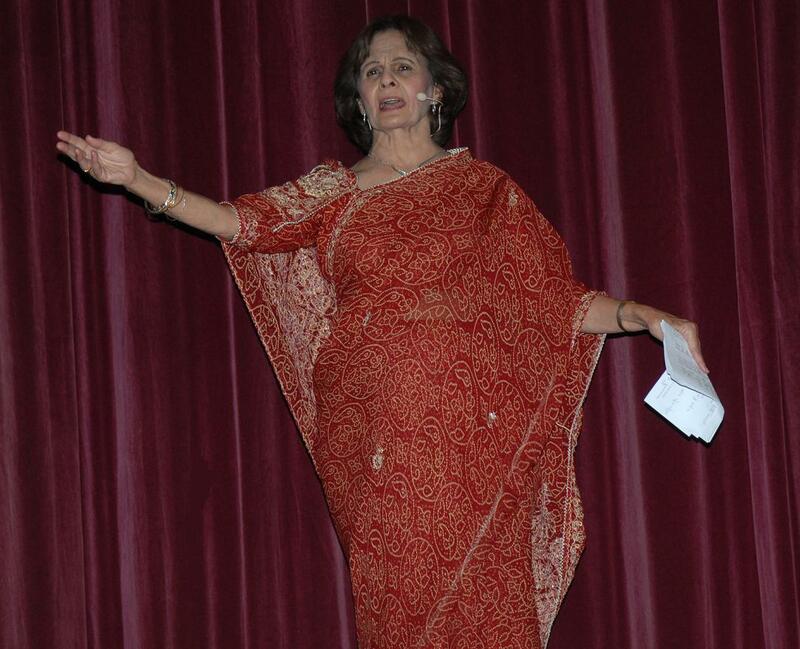 Fazila Bhanvadiya presenting her poem “Fifty Years” at the Festival of Poetic Expressions. Sadaf Sherbari’s composition “Our Love for Mawlana Hazar Imam” was in German. Raziyyudin Jamani presenting “Jamatkhana” at the Festival of Poetic Expressions. Photo Credits: The photos shown above are taken from a special CD, “The Festival of Poetic Expressions,” produced by the Aga Khan Council for the United Kingdom. Please also visit the Simerg Home page. For links to all articles posted on this Web site since its launch in March 2009, please click What’s New. Such events are most useful and those who organised this event deserve our support and thanks. Well done to all the the participants, many of whom I know personally. Your efforts are paying richly. They reflect the nobility of the toilers and the Love of the Lost in Work who perspire the perfume of the never experienced other-world.